It is possible to add or delete My People Pops option in the Taskbar of the PC. This attribute has become the part of the Windows OS after the Fall Creators Update. With the help of this feature, it is easier to pin people with regular communication to the taskbar for easy accessibility. 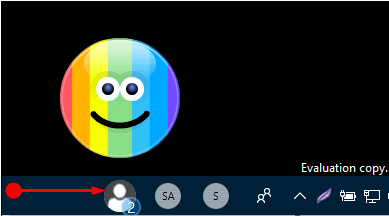 Once you pin people to the taskbar it is also possible to send them emojis as this feature too is available on the taskbar. This application reserves a place in the Setting app and hence the changes needed to be made has to be done from here itself.